The original boxed set for AS&SH is nearly sold out! 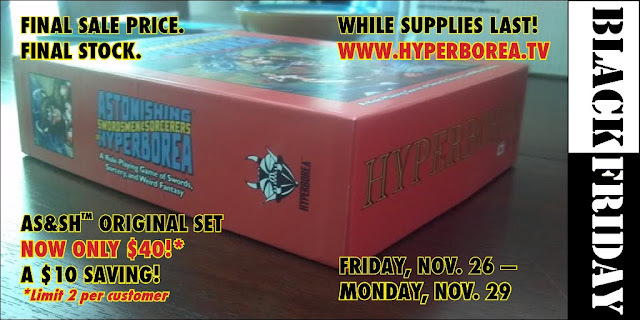 Our supplies for this set are limited, and they have been moving quick since Friday. This is the cheapest you will ever get this award-nominated RPG! Only $40! (normally $50) Limit two per customer, while supplies last. Today is the LAST DAY!